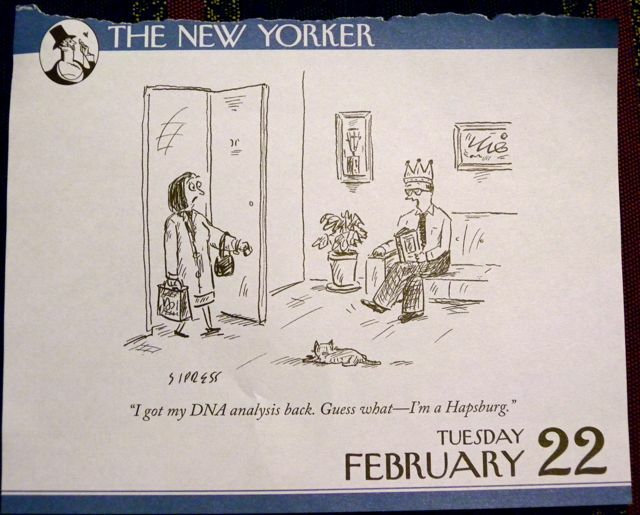 More from my The New Yorker daily calendar. For history buffs. Either the Hapsburg inbreeding and and lip-sticking-out has finally been eradicated, or somebody is lying to impress/irritate the wife. Because that dude is missing the quintessential Hapsburg trait. For those of you who are not European history geeks… the Hapsburg/ Habsburg royal family of the Holy Roman Empire and other far-reaching European thrones were known for a jutting lower lip/jar situation, a trait passed on and exacerbated by generations of highly disgusting inbreeding. Nowadays, it is often referred to as Habsburg Lip or Habsburg Jaw. One mustn’t dilute the sovereign blood. 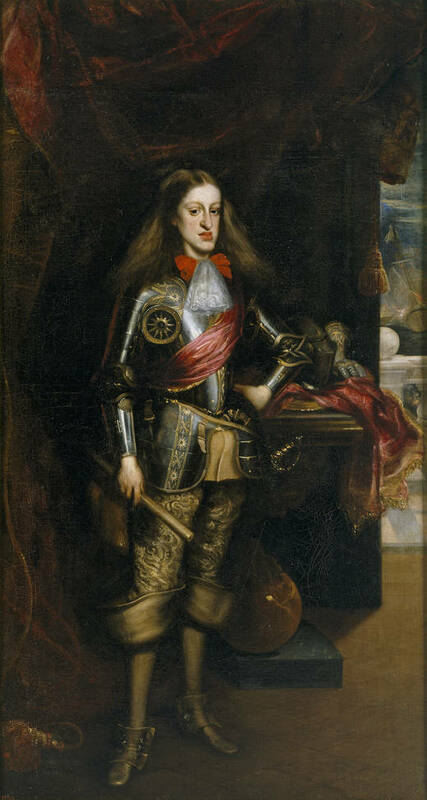 Anyways, poor Charles II of Spain (the last of the family line to rule there) was so inbred that his deformity made chewing impossible, speaking was difficult and he was impotent in addition to other ailments (hence, the end of the line). Some of the Hapsburgs were prettier though—don’t worry. 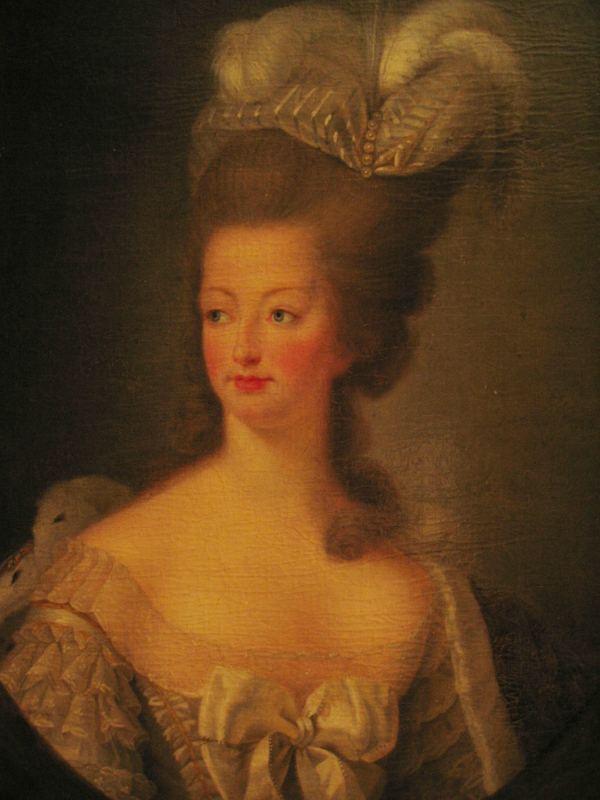 Marie Antoinette was one, and she looked good for a while, despite people mocking her lip. The French can be so judgy. 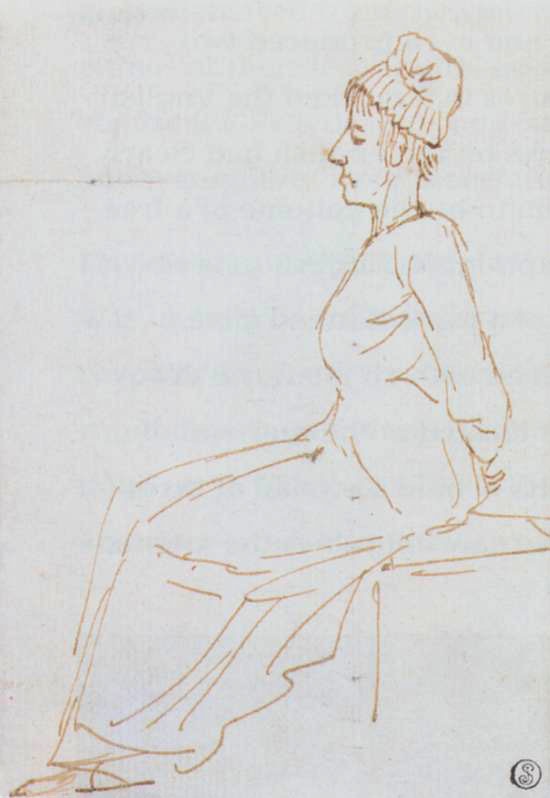 Way to focus on a person’s worst feature en route to the guillotine, Jacques-Louis David. That’s just rubbing it in. All this from a daily tear-away calendar. The things you study in graduate school linger despite having little-to-no real-world application. You know, I’ve always loved that guillotine sketch of ‘ol Marie. I always thought it was so amazing he could remember so much / sketch that quickly as she rode past. I love that you love that sketch.